Hide the iPads, take the batteries out of the Xbox controllers and hand your little one a new Hasbro Marvel Super Hero Mashers. There is a whole new world of superhero mayhem to be had. 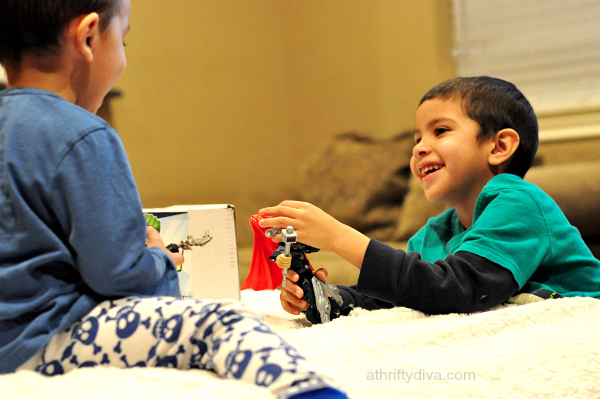 Toys are a wonderful way to encourage pretend play, inspire and tempt the imagination. 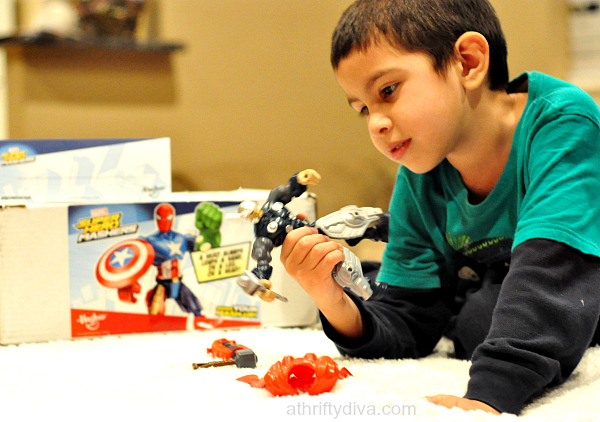 Marvel Super Hero Mashers can be mixed and matched so that you can swap your Super Hero Mashers figures out and make them a whole new character. 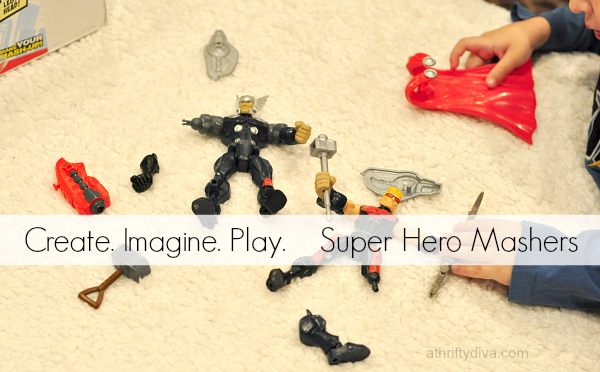 My five and three-year-old were giddy at the idea of making an extraordinary super hero that is part Thor by switching the characters arms, legs and heads and switching them all around with other Marvel Super Hero Mashers. It’s a whole new kind of fun that encourages them to get creative and envision a new set of characters with special powers. If I asked my five year old what superhero he wished he was, it would be a toss up between Thor and Iron Man. Give him the new Hasbro Super Hero Mashers and he can control his destiny. Merging his favorite characters into the ultimate HERO. The customizable figure make Thor the most powerful with Iron Mans launching missile arm. And wouldn’t Iron Man be more especial with a Hulk head! Ver que las ideas son infinitas y diversión. More than 20 unique Mashers are planned. 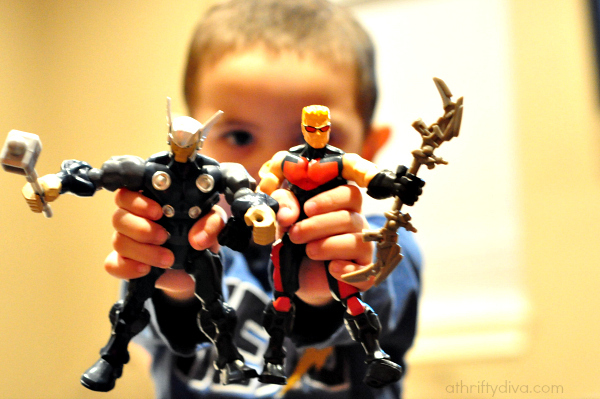 Learn more about the Hasbro Super Hero Mashers.